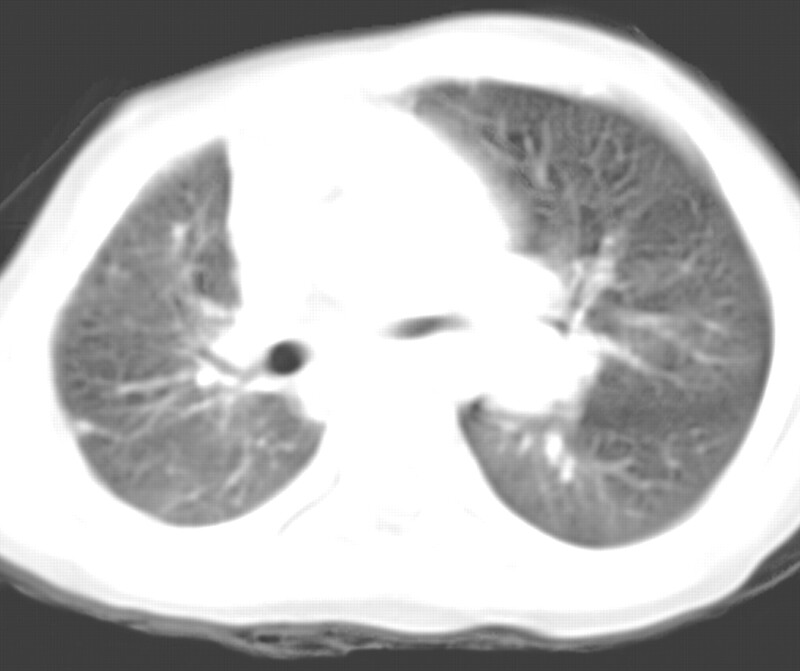 Non-contrast-enhanced computed tomography scan of the chest in a pulmonary window setting. 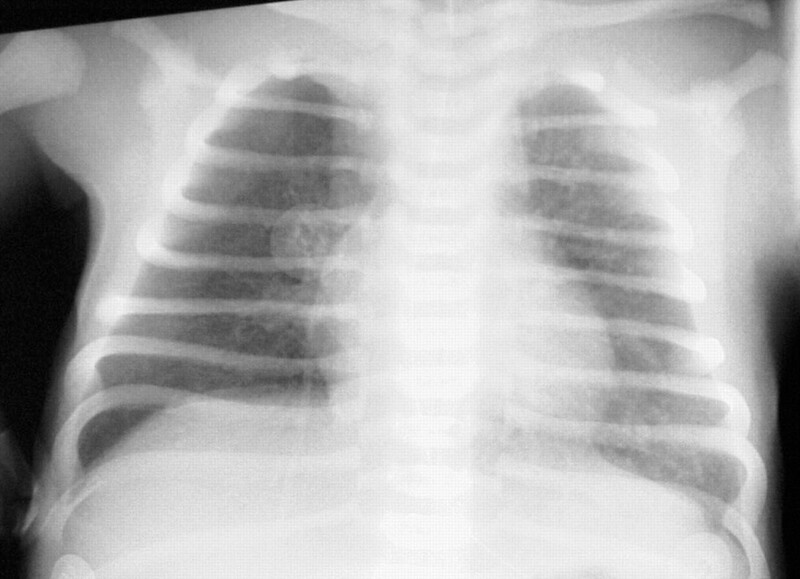 Chest radiograph taken on the first day of life in the neonatal ward. Computed tomography of the chest with intravenous contrast in a mediastinal window setting. 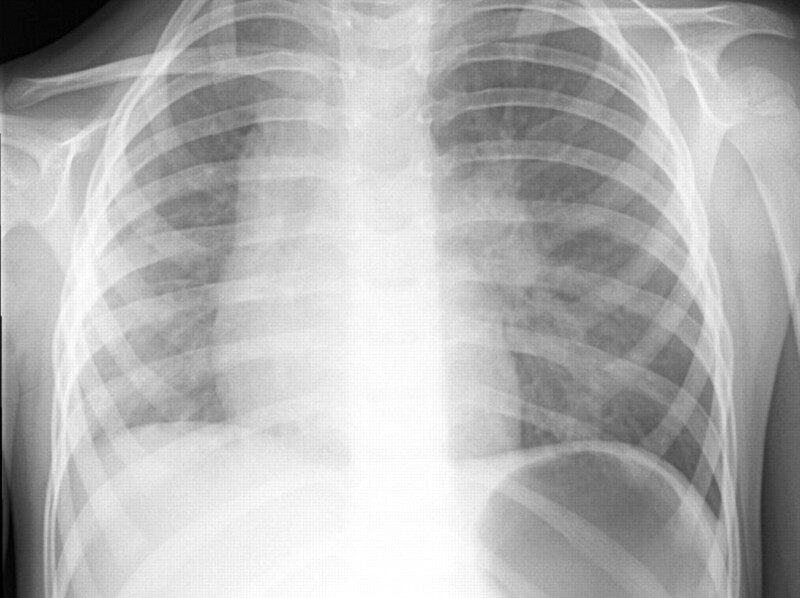 #: the normal anatomic location of the right pulmonary artery; it is absent here. 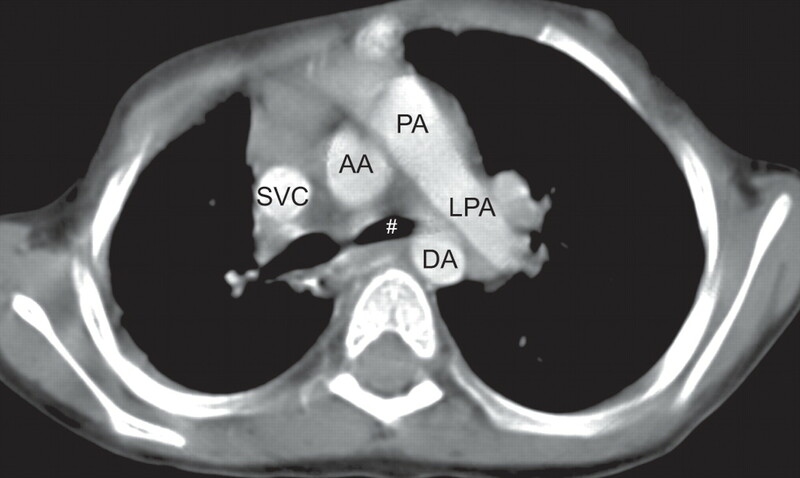 SVC: superior vena cava; AA: ascending aorta; DA: descending aorta; PA: pulmonary artery; LPA: left pulmonary artery. 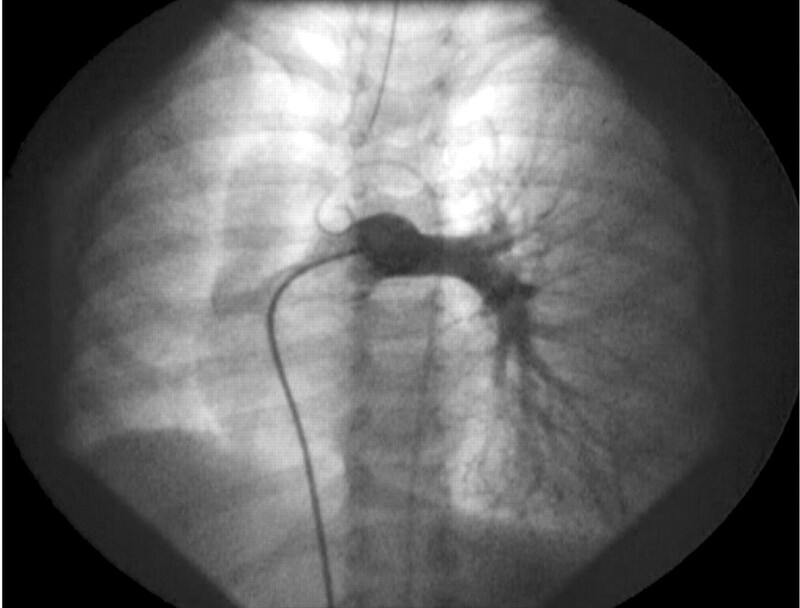 Angiography of the pulmonary artery. No opacification of the right pulmonary artery is seen. During the same procedure, an angiography of the aorta was performed without any signs of aortopulmonary collaterals.